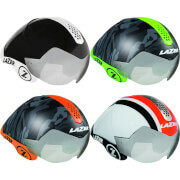 The Salice Ghibli is the archetype of a well designed helmet. Sharing its name with a Maserati model, the Ghibli is definitely the Maserati of bike helmets. Representing Italian style the Ghibli has a smart profile, 23 air vents have been strategically positioned to force the air through and over the helmet, ensuring an aerodynamic advantage. The micrometric adjustment system is light but also very comfortable providing a secure fit to a range of head shapes and sizes. 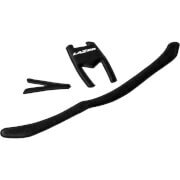 The additional feature of a four LED rear light, with optional flashing or constant settings demonstrate that Salice recognise the importance of bike safety making this helmet ideal for road racers and commuters. The Ghibli will also come with the added safety feature of Datatag. It is a small, simple sticker that has QR code technology linking your emergency contact details (and any medical info you would like to include) to a central secure database allowing the emergency services to identify you quicker and contact your family and friends to let them know what is happening. Datatag allows you to have more confidence, push harder and feel safe in the knowledge that if something does happen the emergency services will be able to help quicker with more information. Designed on the shores of Lake Como this lightweight helmet; available in a range of distinctive colours that complement the ITA or Euroflo Salice sunglasses, will add a touch of Italian style to any outfit. I like this helmet a lot (style is cool and weight is pretty low) but if I had to complain just a little, I am not used to the noise that the air vents produce. I'll probably love it in the summer due to the extra ventilation but right now, it's noisy. This thing was priced right and was a very good value. I've ridden bicycles competitively for a long time and I've worn many styles of helmets over those years always struggling to find one that fits well and provides the necessary protection. This helmet fits perfectly, is well vented and allows me to wear a cap and my Oakleys just fine without pressure points or the weight of competitors helmets. I highly recommend this helmet if you compete or are just that weekend warrior. Saw this helmet & read the information on it first. 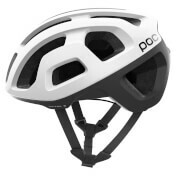 It's super light & the straps & fastenings inside the helmet give you a perfect fit. The small red light on the back is a great touch. Definitely worth considering if you need a new helmet. Because of the quality of this Salice helmet I'd definitely consider buying some of their sunglasses too. I love it. Didn't expect back light, very nice. Best part, beside fit, was how the chin strap was positioned on the side. Much easier to work rather than under the chin. Very good over all, liked.